We’re living in the Spotify era of instant gratification where we can stream a new album from our favorite artist immediately after it’s released. Yet, what was supposed to be an era of unprecedented parity — between international stars and niche artists, thanks to the internet’s infinite access — hasn’t really translated into big money for all but the Kanyes, Swifts, and Sheerans of the world. In fact, you may even remember that in 2014, Taylor Swift steered away from releasing her album 1989 on Spotify in favor of selling it directly as a way of protesting the streaming business model. So how do you make a buck in this business today? There is a way, and it’s accessible to pretty much any artist. It’s called sync licensing, and it’s the brand-spankin’-new way an indie artist can make money while promoting his or her music at the same time. Music and visual forms of entertainment have always gone together like peanut butter and jelly. Our modern era has brought us more visual entertainment to pair with music than ever before. Opportunity? Check. So, let me be your guide on how to get started on your music-licensing journey as I dive deep with insider strategies from music supervisor Ben Hochstein (Bad Grandpa, Ridiculousness, Jackass 3D) and music-publishing guru Eric Hurt, Sr. Director of Creative at Spirit Music Group. + Learn more on Soundfly: Find out which royalties and licensing opportunities are available to you and how to collect them in our new course, How to Get All the Royalties You Never Knew Existed. 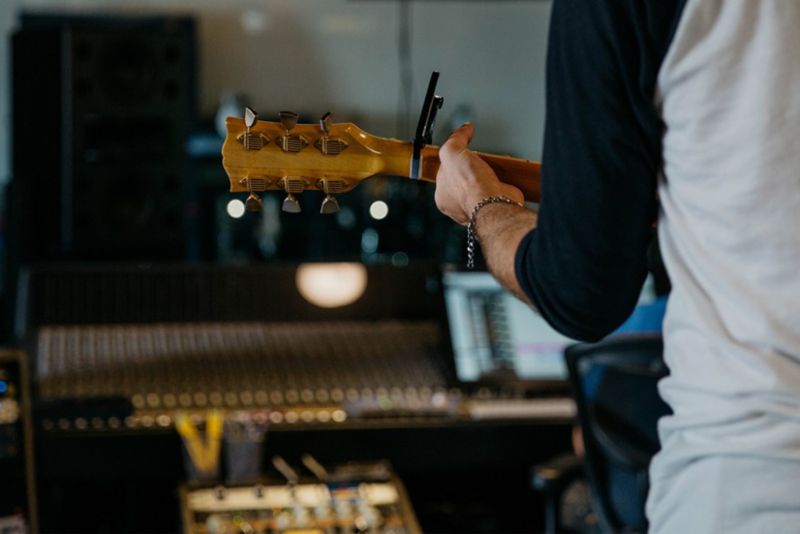 Your songs are recorded, mixed, mastered, and sound great — but before they can be licensed, they need to be registered with a Performing Rights Organization (PRO). PROs are organizations like ASCAP, BMI, or SESAC, that help track down and collect your performance royalties (the money you’re owed every time your song is played on the radio, heard on a TV show or commercial, and streamed digitally) for the songs and compositions you write. Note: It’s important to distinguish between the roles of a songwriter and an artist. Click here to discover the differences. The half of your copyright known as the writer’s share cannot be bought, sold, taken, or given away. It’s yours. However, the publisher’s share, the other 50%, is transferrable. But the joy of sync placements, and where the lion’s share of the potentially earned revenue exists, is in the licensing fee. And that’s something that both a publisher and a licensing company can help you secure. Read about some successfully secured licensing placements in Flypaper’s interview with Third Side Music founder Jeff Waye. If a publisher wants to work with you and offers you a deal in which you sign away 100% of your publishing to them, don’t worry! This only means you’re only doling out half of the copyright. You, the creator, will still own 50%, because you own the songwriting/composition half. And since many “admin” publishers won’t profit until they place a song, that means when they get paid, you do, too — for the work they’ve done! But there are other reasons you should consider signing half of your copyright to a publisher. “It gives you an instant credibility. Music supervisors and producers definitely have sources they trust,” says music supervisor Ben Hochstein. And publishing guru Eric Hurt agrees. This is a business that depends on personal relationships. “It’s more about the relationships that you have — if you have good relationships with music supervisors, then a lot of times, it can be easier if you don’t have a publisher,” he says. + Read more on Flypaper: See how some new companies are changing the music-industry landscape in favor of artists themselves in our Entrepreneurship in Music interview series. If you have a personal relationship with a music supervisor, great! Send him or her some of your music and ask if he or she wants to use it. Do a ton of background research before sending a pitch to a music supervisor. What is he or she working on? This should never be a copy-and-paste pitch blasted out to hundreds of people. It simply won’t work, and you may get blacklisted by some. By all means, pitch to more than one music supervisor, but give each a personal touch. Introduce yourself, send your music, and be concise. Someone wants to license your song to use during the closing credits of a TV show! Hooray! The music supervisor must now secure clearance from the copyright holder(s), which, in this simple example, means you. But clearance has two sides: the sync license and the master use license. The sync license refers to the composition, which is the song itself and is owned by the writer and publisher. The master use license refers to the actual recording of that song being used. If you recorded all the parts to your own song, you own the sound recording as the “artist.” However, If you recorded the song under a record contract, your label will own the sound recording. What this means is that whenever a music supervisor chooses a song for an advertisement, movie, TV show, etc., two parties share the licensing payouts. If you’re both the songwriter and the artist, you are part of both parties. There are no set fees for sync and master use licenses; they are negotiated on a case-by-case basis. But how much you’ll be willing to negotiate depends on a bunch of factors, mainly how the song is used and how much clout your song has. If your song was a giant hit or you’re an international superstar, you’ll be able to charge much much more simply because of demand. You can also charge more for exclusivity. If you’re an unknown artist, you might be tempted to license your song for free, just to get exposure, but I’d strongly advise against it. Ask for something like $500-$1,000 at the minimum, just as a gesture. This shows the industry that you’re worth at least that much, and it shows that you do favors for people you know. While there may be some situations where free is okay, remember that no one will respect or pay you for your music if you’re always running around giving it away for free. Similarly, Hurt points out that decisions to use a song often depend on the ease of clearance. “If you’re a co-writer collaborating with other songwriters, definitely have the splits confirmed as soon as the song is done and get their publishing information,” he reminds. If two songs are in the running and one is a complicated mess to clear, rest assured it won’t be the one used. You don’t need to be a household name. In fact, as a new artist, you’re more likely to be a music supervisor’s economical option. Music licensing is a world best learned by doing, so if you have some amazing music written that you believe could work in a TV spot somewhere, get started immediately. Wanting to learn more about the royalties you’re eligible to collect as an artist? Find out more about sync licensing, artist and songwriter royalties, and where to collect them in our brand-new, free course, How to Get All the Royalties You Never Knew Existed, taught by indie-music-industry guru Ari Herstand. Who’s Ari Herstand? Watch this quick video and get to know your new mentor! The Sometimes Island is a form of dance music for the new generation. Fusing electro beats with breezy, layered lyrics, Matt Blankenship, Jr., a.k.a. The Sometimes Island, brings a new brand of music to his upcoming seven-track EP titled Bad People, set to drop in late July. Keep an eye out for several single releases in the lead-up to the EP’s release, followed by a West Coast tour this summer.